How did a coloring book spend 14 weeks on the New York Times Non-Fiction Best Sellers list??? The year was 1962. America was in love with the young family in the White House, speaking of them with awe and reverence. Then the JFK Coloring Book was released, and punctured all that. Conceived by publisher Alexander A. Roman, with drawings by Mad Magazine’s master caricaturist Mort Drucker and text by his Mad cohort Paul Laikin and Ratfink Room comedian Jackie Kannon, the book used the form of a coloring book supposedly crafted by four year old Caroline Kennedy to poke fun at the whole Kennedy clan, their friends and their fellow players on the political scene, including every one from Frank Sinatra to Jimmy Hoffa. The publication of this unique volume lead off a whole Kennedy comedy stampede, with things like Vaughn Meader’s First Family albums coming in its wake. Comedy was replaced by tragedy with JFK’s assassination, and the Coloring Book which had once had print runs in the hundreds of thousands disappeared from bookstore shelves, not to return for over half a century. Now the time has come to remember Kennedy and his family not just as tragic figures, but as the way they were and the way we saw them then. As an added bonus, this edition also includes Political Wind-ups, another book full of Drucker caricatures, with text by Roman and Rochelle Davis, taking a look at the political figures of the day (Kennedy, Martin Luther King, Jr., Richard Nixon, and many more) and asking a vital question: if this person were a wind-up toy, what would it do when you wound it up? Annotations have been included for both of the books, to educate those who are too young to have lived through the times and to remind those who may no longer remember the details. Since the release of this new edition, the JFK Coloring Book has been discussed on NPR’s On The Media and in the pages of the New Republic. It’s a book the world is clearly ready for again! 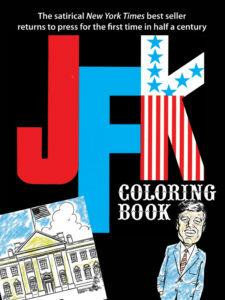 Order the JFK Coloring Book from Amazon! 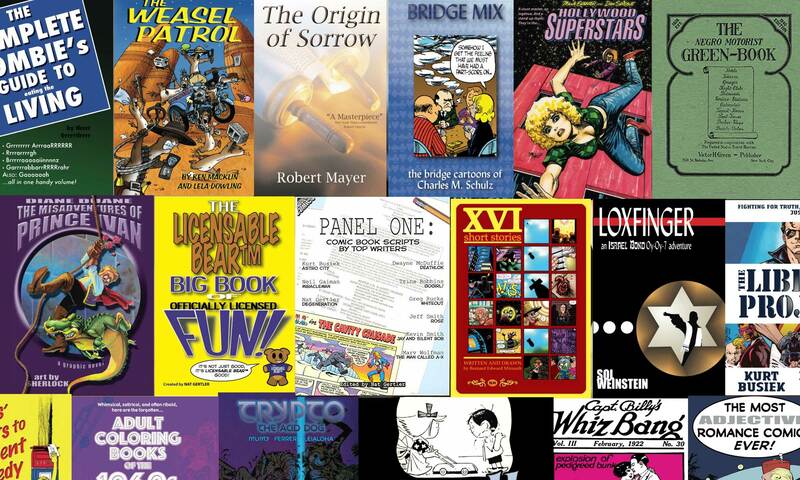 What do you get when Bill Adler, creator of such best-selling books as The Kennedy Wit, teams up with Charles M. Schulz, creator of Charlie Brown, Snoopy, and the whole Peanuts gang, and they draw from the creativity of the millions of kids in America? 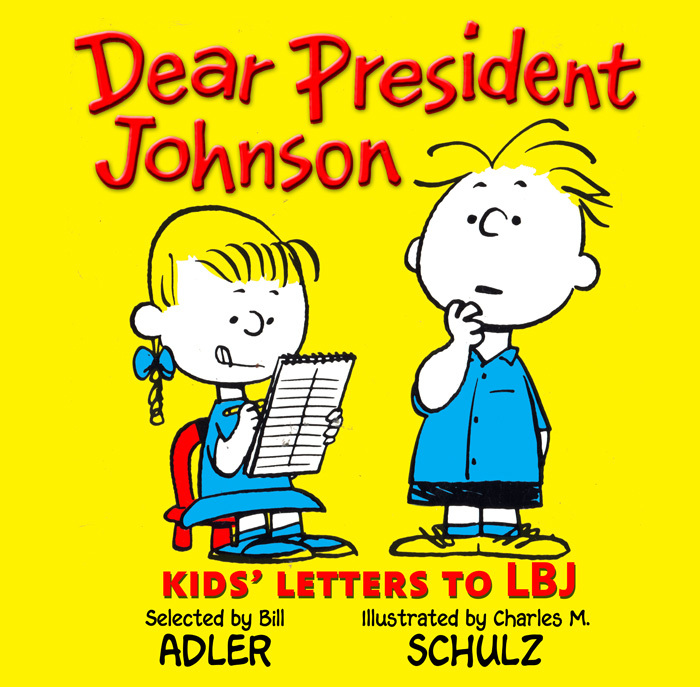 You get Dear President Johnson –a collection of the letters kids sent to the White House, facing the President with their questions, their wishes, and their dreams. 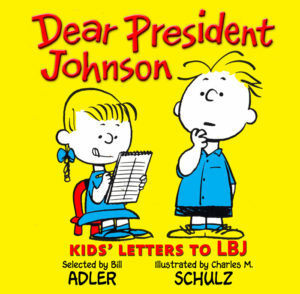 Originally published during the LBJ administration, this book has been brought back to print to delight a whole new generation. Order Dear President Johnson from Amazon. 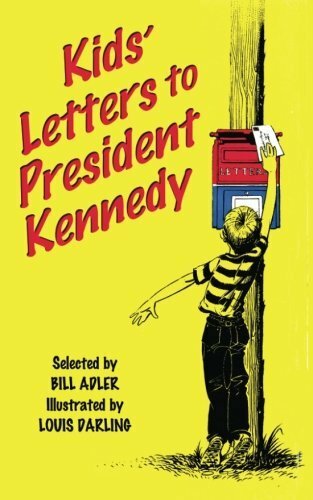 Genuine letters sent from the kids of the early 1960s to JFK show you the dreams, obsessions, and general attitude of America’s children. New York Times best-selling book creator worked with the White House mail department to find letters that were delightful, intriguing, and representative of the thousands of letters that would stream in each week. The book is augmented by dozens of delightful illustrations by Louis Darling, better know for this work on Beverly Cleary’s Beezus & Ramona books. Out of print for half a century, this book is now back in this paperback edition! 5″x8″, 162 pages, black-and-white on cream paper, list price $14.99 US. This book is part of our Presidential Bookshelf line. 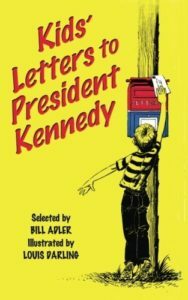 Order Kids’ Letters to President Kennedy from Amazon.com!